Located in Amsterdam-Zuid, the cultural heart of the city, Christie’s offices and saleroom are housed in a building that exemplifies the Amsterdam style of the 1920s. Christie’s opened its saleroom in 1973 in Amsterdam. 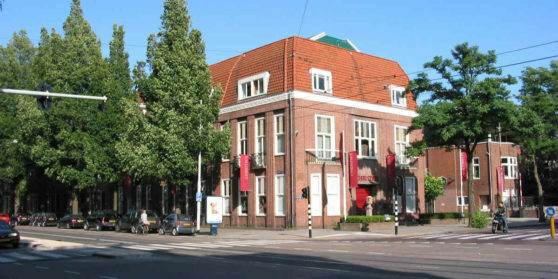 The premises, once home to the Maritime Museum, saw various historic sales such as the Liechtenstein collection, the Anton Philips collection,the Anton Dreesmann Collection, The Property of the Scheringa Museum of Realist Art and The Piet and Ida Sanders Collection. In 1986, Christie’s Amsterdam sold the world-famous Nanking Cargo. The trove of more than 150,000 pieces of 18th century Chinese porcelain and gold ingots fetched for more than 17 million euro’s – still a record for any auction conducted in the Netherlands. Today, Christie’s Amsterdam is the foremost Northern European saleroom for Old Masters, 19th Century Art and Impressionists, Modern Art and Post-War and Contemporary Art.